White rushed eight times for 15 yards and a touchdown and caught 10 of 13 targets for 79 yards in Monday night's 25-6 win over the Bills. With White's teammate Sony Michel (knee) viewed as week-to-week, per Adam Schefter of ESPN, White's profile in the Patriots' running attack has a chance to expand beginning next Monday against the Bills. White rushed 11 times for 40 yards and hauled in eight of 10 targets for 57 yards and two touchdowns in Sunday's 38-31 win over the Bears. Analysis: White became the feature back after Sony Michel hurt his knee while fumbling the ball in the first half. Catching the ball out of the backfield is the strength of White's game, and he translated that ability into points with a five-yard touchdown reception in the second quarter and a two-yard score in the fourth. Kenjon Barner also got in on the fun with 10 carries for 36 yards, so White will likely work in tandem with either Barner or Michel against the Bills in Week 8. White carried six times for 39 yards and added five catches on seven targets for 53 yards in Sunday's 43-40 win over the Chiefs. Analysis: White was on the field for 33 of a possible 78 snaps on offense Sunday. Meanwhile, Sony Michel logged 37 snaps en route to carrying 24 times for 106 yards and two TDs. The Patriots' attack has really picked up the pace over the team's last three games and White's steady involvement in the passing game has led to PPR utility. He'll look to remain on track in Week 7 against a talented Bears defense that took a bit of a step back in Sunday's 31-28 overtime loss to the Dolphins. White rushed twice for zero yards but brought in 10 of 14 targets for 77 yards and a touchdown in the Patriots' 38-24 win over the Colts on Thursday. White rushed eight times for 44 yards and a touchdown and brought in eight of 10 targets for 68 yards and another score during the Patriots' 38-7 win over the Dolphins on Sunday. White was on the field for 25 of a possible 48 snaps on offense in Sunday's 26-10 loss to the Lions. White rushed four times for 11 yards and caught seven of eight targets for 73 yards in Sunday's 31-20 loss to Jacksonville. 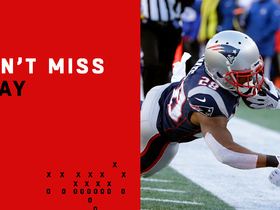 Analysis: White ended up leading the team targets, catches and receiving yards, as Tom Brady found himself checking the ball down early and often against the vaunted Jacksonville pass rush. 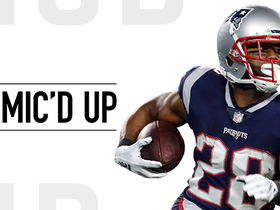 Rookie Sony Michel (10 carries, two targets) and Rex Burkhead (six carries) were also involved, but White appears to be New England's receiving back of choice. That role should bear plenty of fruit given the Patriots' past success in passing situations. White logged 36 out of a possible 75 snaps on offense in Sunday's 27-20 win over the Texans, en route to rushing five times for 18 yards and hauling in four of his nine targets for 38 yards and a TD. Analysis: Fellow running back Rex Burkhead led the way in terms of snaps (with 37) and carries (18 for 64 yards) in the contest, while Jeremy Hill saw action on 12 snaps, but suffered what could be a serious leg injury. With rookie Sony Michel (knee) potentially suiting up in Week 2, White will continue to have competition for touches in the New England offense, but generally speaking his involvement in the team's passing game gives him a decent weekly floor in PPR formats. White carried four times for 31 yards and caught all six of his targets for 61 yards and a touchdown in Thursday's 37-20 preseason win over the Eagles. First-round draft choice Sony Michel is slated to join White, Jeremy Hill, Rex Burkhead and Mike Gillislee in the Patriots' 2018 backfield. 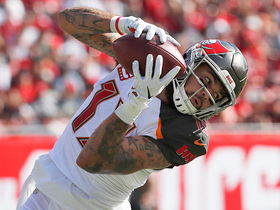 Analysis: White, who carried 43 times for 171 yards to go with 56 catches for 429 yards and three TDs in 14 games last season, remains a roster lock thanks to his pass-catching prowess. That said, the dynamic Michel draws comparisons to the Saints' Alvin Kamara, and the rookie is thus a threat to cut into White's target volume (and in turn PPR value) in 2018. White (ankle) rushed for 11 yards and a touchdown on four carries and caught four of seven targets for 29 yards and a touchdown in Saturday's 35-14 win over the Titans in the divisional round. White (ankle) is active for Saturday's divisional-round game against the Titans. Analysis: Unlike fellow running backs Rex Burkhead (knee) and Mike Gillislee (knee), White has brushed off an ankle injury and will be available to the offense in the Patriots' playoff opener. White is thus the best bet to spell Dion Lewis on occasion, especially on obvious passing downs. 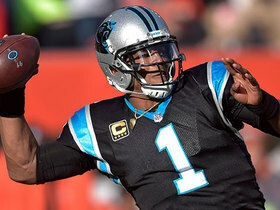 White (ankle) is expected to play in Saturday's playoff tilt against the Titans, Jason La Canfora of CBS Sports reports. Analysis: White has not suited up since Week 15 due to an ankle injury, so he has now had three full weeks to recover. At the time of his injury White only had a bit role with the offense, but with Rex Burkhead (knee) and Mike Gillislee (knee) expected to be sidelined, he could potentially play a key role in the Patriots' game plan. White (ankle) is listed as questionable for Saturday's playoff game against the Titans after logging a limited practice Thursday. White (ankle) was limited in Tuesday's practice. White (ankle) is expects to be ready to play Saturday in the Patriots' divisional-round matchup with the Titans, Mike Reiss of ESPN.com reports. White (ankle) is inactive for Sunday's game against the Jets. Analysis: With Rex Burkhead (knee) and Mike Gillislee (knee) also out Sunday, Dion Lewis is in line to head the Patriots' Week 17 backfield, with versatile Brandon Bolden on hand to work in a complementary/backup role. White (ankle), who is listed as questionable for Sunday's game against the Jets, isn't expected to play, Adam Schefter of ESPN reports. White (ankle) is listed as questionable for Sunday's game against the Jets after practicing in a limited fashion all week. 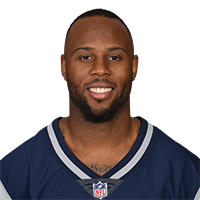 Analysis: Both Rex Burkhead and Mike Gillislee will sit out the game with knee injuries, and given that the Patriots have not added another running back to the mix, we'd expect White back in the lineup Sunday, working in a change-of-pace/pass-catching role behind Dion Lewis. Assuming it's confirmed that White will suit up for Sunday's 1:00 p.m. ET contest, he'll merit a look in PPR formats in Week 17. White (ankle) was limited at practice Wednesday. Analysis: White was inactive for this past weekend's game against the Bills, so it's not a lock that he'll suit up for the Patriots' regular-season finale against the Jets on Sunday. He's not the only banged-up member of the New England backfield, either. Rex Burkhead and Mike Gillislee both sat out practice Wednesday with knee issues, leaving top back Dion Lewis and special-teams ace Brandon Bolden as the team's only running backs who were able to practice fully. White (ankle) is inactive for Sunday's game against the Bills. Analysis: Per ESPN's Mike Reiss, White underwent an MRI over the last week, but the running back's ankle issue isn't expected to keep him out long. 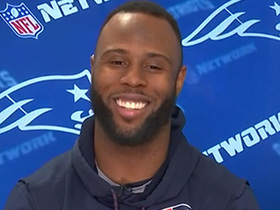 White's blitz pickup and pass-catching ability will be needed in the playoffs, so the Patriots appear to be focusing on having him ready for their postseason run. 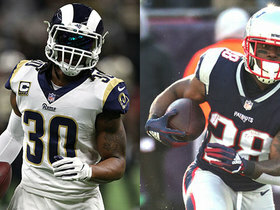 With Rex Burkhead (knee) also out Sunday, Dion Lewis and Mike Gillislee will head the Patriots' Week 16 ground game, with special teams ace Brandon Bolden on hand in a reserve capacity. White (ankle) is not expected to play Sunday against Buffalo, Adam Schefter of ESPN reports. Analysis: White practiced in a limited fashion all week, so it's a surprise that he won't play. With Rex Burkhead out with a knee injury, Dion Lewis should get the bulk of work with Mike Gillislee (a healthy scratch last weekend) likely active for the first time since Oct. 29. 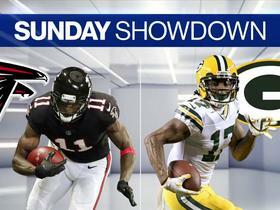 White (ankle) is listed as questionable for Sunday's game against the Bills, Mike Reiss of ESPN.com reports. Analysis: White, who is one of eight Patriots listed as questionable for the contest, practiced in a limited fashion all week, so we'd be surprised if he sat this one out. In the event that he is available Sunday, White -- whose touches have been sporadic of late -- could see some added looks in the Patriots' Week 16 offense, with versatile backfield mate Rex Burkhead out with a knee injury. White was on the field for 20 of 60 snaps on offense in Sunday's 27-24 win over the Steelers. Analysis: In the process, White caught two of his three targets for eight yards. 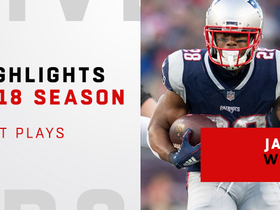 Looking ahead to Week 16, it looks like the Patriots will be without fellow running back Rex Burkhead, which could lead to added looks for White, though it's also plausible that Mike Gillislee, a healthy scratch of late, could re-enter the game plan against his former team, when the Patriots host the Bills this coming Sunday. White was on the field for 35 of 61 snaps on offense in Monday night's 27-20 loss to the Dolphins. 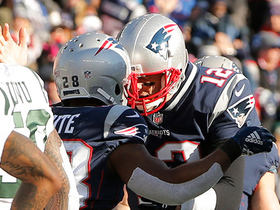 White was on the field for 28 of 70 snaps on offense in Sunday's 23-3 win over the Bills, ESPN's Mike Reiss reports. White was on the field for 18 of 70 snaps on offense in Sunday's 35-17 win over the Dolphins. White was on the field for 17 of a possible 60 snaps on offense in Sunday's 33-8 win over the Raiders, ESPN's Mike Reiss reports. White was on the field for 11 of a possible 70 snaps on offense in Sunday's 41-16 win over the Broncos. Analysis: While Mike Gillislee was a healthy scratch Sunday, White was out-snapped by both Rex Burkhead (36) and Dion Lewis (21), who combined for 24 carries in Week 10. 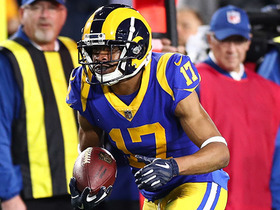 For his part, White ran just twice for seven yards, but managed to provide a degree of fantasy utility by catching three passes for 11 yards and a TD. In a crowded backfield, limited carries are the norm for White, but his involvement in the Patriots' passing attack does at least make him relevant in PPR formats.